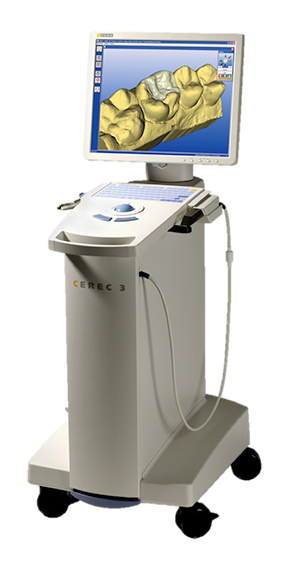 CEREC® is one of the extraordinary advancements in dentistry technology offered by Dr. Wallace J. Bellamy at his dental office in Elk Grove, CA. The CEREC® system allows Dr. Bellamy to create custom-fit ceramic restorations in a single appointment, as opposed to sending molds to outside dental labs as was previously necessary. For high-quality, fast, single-appointment restorations using the CEREC® system, there is no better place in Elk Grove, CA. 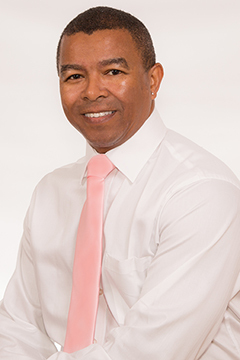 During your procedure, Dr. Bellamy will first examine your teeth and determine the proper treatment. CEREC® can create several restorations for both functionality and cosmetic purposes. These include crowns, onlays, veneers, and fillings. Next, any damage or decay will be removed and a special powder will be used to coat the tooth. A camera that detects the powder takes an optical impression, and a computer converts this data into a three-dimensional virtual image, allowing Dr. Bellamy to design the restoration. The CEREC® machine then shapes the piece of ceramic right in our office. It is finished in minutes and can immediately be bonded into place on your teeth. CEREC® has done an unparalleled job of streamlining the process of creating this sort of restoration. The process can be completed in one visit in a short period of time, so it saves you the hassle and time of multiple appointments. The restoration is created in-house by Dr. Bellamy, so we have complete control of how it will be designed and fitted. There isn’t a need for temporaries since the final restoration is being created in-house and is fitted that very same day. As compared with other standard lab-made restorations, there’s little to no difference in the total price of CEREC® since the lab fees are included and you only need a single appointment. Give us a call at (916) 683-3011, schedule an appointment online or contact us for additional information on CEREC® in Elk Grove.